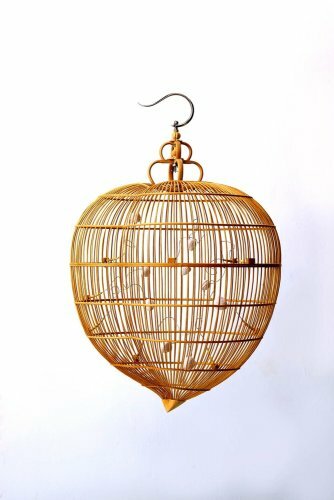 For nearly a decade, Kum Chi Keung has made birdcages his sole artistic language and experimented with its appearances and connotations. To him, this art is an endless source of inspiration and interpretation. Transforming common objects into artworks, he articulates the dynamics of urban lifestyle through site-specific installations for numerous organisations and locations. 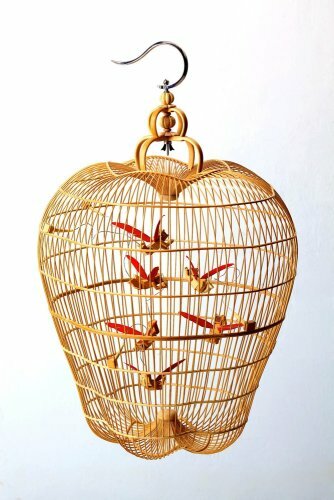 The artist continues the traditional Chinese practice of birdcage-making and expands the creative possibilities of the common birdcage by varying its size, design, use of material and placement. In Sweet and Wisdom, the artist transforms the birdcages into the shapes of different fruits and uses them as a metaphor for how technology has impacted nature. Instead of birds, bleached and shrunken fruits are placed inside the birdcages to represent our changing attitudes to the food we are consuming. 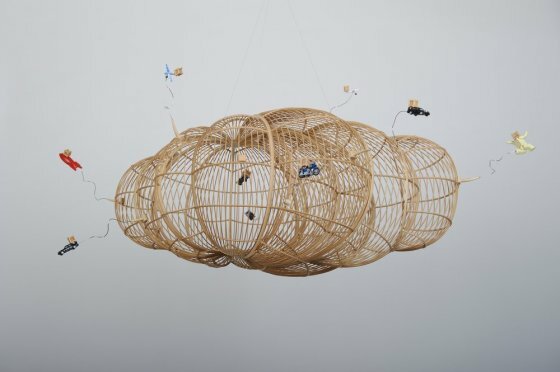 In Propagation of the Reddish Gene, the artist reflects on the contradictions of Hong Kong people and their daily lives through the little figures flying inside the apple-shaped cage. More recently, the artist has begun to explore his expressions further by combining ink painting with birdcages to demonstrate the multiple sides of Hong Kong as it continues to develop and become increasingly more Chinese.